Suggest venues for American Hands exhibits, artist-in-residencies, lectures, workshops, etc. 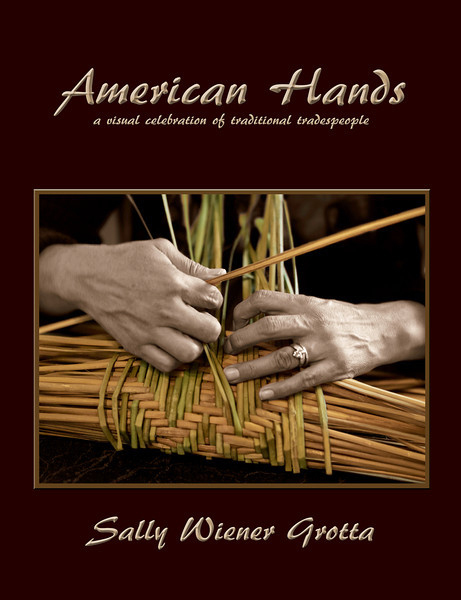 * Please remember, when suggesting possible American Hands subjects that Sally’s focus is on those artisans who are keeping traditional trades alive, and who are making physical objects (not food or drink) that were necessary for the day-to-day lives of earlier Americans. Click here to view a gallery of Sally’s American Hands narrative portraits. Buy The American Hands Journal. 36 pages of photographs and stories. Please click on the headlines below to expand the section and read other interesting facts about American Hands. To honor the artisans who have dedicated their lives to keeping traditional trades alive. To use Sally's pictures and stories to energize and excite the public about human creative potential. To educate and inform young and old alike about our creative cultural heritage, through free-to-the-public exhibits and slideshow presentations. To preserve and share the stories that Sally collects. To push photography, imaging and fine art printing artistically, attempting to expand the creative language we use to tell visual stories. Adopted by the New York Foundation for the Arts (one of the country's most respected art organizations), under their Artspire fiscal sponsorship program. Numerous corporate sponsorships over the lifetime of the project, including Hewlett Packard and Pentax. Sally was recognized for her work on American Hands on the floor of the Pennsylvania Senate by a standing ovation from the legislators. That number doesn't include the uncounted hundreds of thousands who have read, seen or heard about American Hands from the wide print and electronic media coverage of the project, exhibits, lectures and other related personal appearances. In addition to numerous magazine, newspaper and Internet articles, American Hands has been featured in a good number of TV and radio shows, and online videos. In addition to the gallery talks, lectures, workshops and other programs that Sally gives in conjunction with specific American Hands exhibits, Sally’s very popular American Hands slideshow discussion may be booked separately from any exhibit. It is particularly appropriate for schools, conferences, meetings, fund-raisers and similar venues. 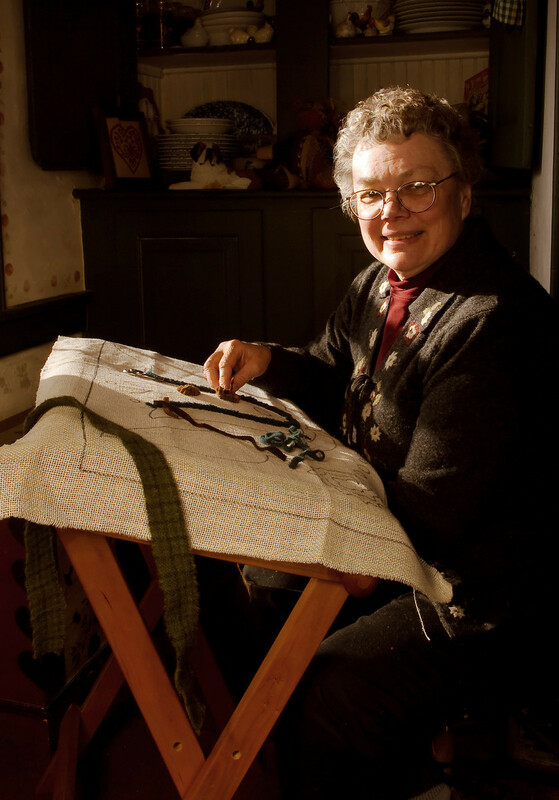 At the slideshow’s core are her portraits and narrative images that capture the personalities and working processes of traditional tradespeople But beyond explanations of the photographs, Sally shares the stories of her experiences meeting and photographing these fascinating individuals, what she learned about and from her subjects, the histories of their crafts, and so forth. As part of the program, she also facilitates animated discussions with the audience about the artisans and their crafts, as well as the role of such individual industry and creativity within our history and its implications for our future.